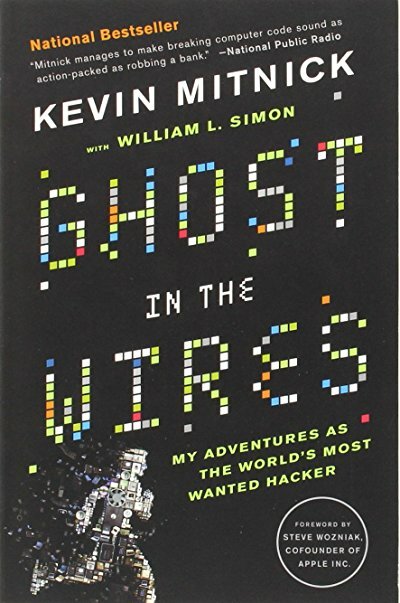 "My Adventures as the World's Most Wanted Hacker"
I enjoyed this book as a light read on Kevin Mitnick’s past and his ascent to becoming the “world’s most wanted hacker”. Mitnick describes his fascination for hacking at a young age, his tireless hacking sessions, getting investigated, being on the run and how he did eventually land in prison. Good mix of facts, technical details, his opinions and his trains of thought. Each chapter starts with an encrypted riddle, which is a nice touch. Mitnick provides detailed descriptions of his hacks into early telephone switches and computer systems. It’s interesting and frightening to learn how powerful social engineering is and how often it was the key to getting into a system. Hacking frequently isn’t a technical challenge, but rather a social one: fishing for information, doing background research, posing as an internal employee asking for a favor and mixing it all to gain access to a restricted system. Little has changed since then and social engineering is as powerful as it was back then.